Are you sticking around for Thanksgiving? If you need to work, we’ll take care the kids! We’ve got 3 fun filled days planned. Sign up for all 3 days or just a day, whatever you need. See the daily themes below. Bring weather appropriate clothes, we will spend some time at a nearby park after lunch! We wear smocks, but paint has a way of getting on clothes anyway, so please wear clothes that are ok to get messy. Please pack lunch, snacks and water bottle. Monday: Dr. Seuss Day – One craft, two crafts, red crafts, blue crafts! We’ll be on the loose with Dr. Seuss, so join us on Monday to have a fun day! Make art with us! It’s not a chore! We’ll do painting, paper mache, and more! 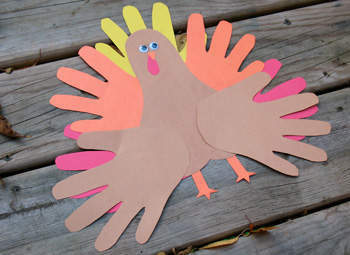 Wednesday: Thanksgiving – Today we have our own mini-Thanksgiving where we ask the question, “What are you grateful for?” Based on their answers, kids will make a thoughtful painting, a cornucopia for the table and the inevitable… turkey crafts! Next Holiday Fun at the ONE Arts Center!